We take pride in our level of customer service from the moment you call us to the moment you leave. 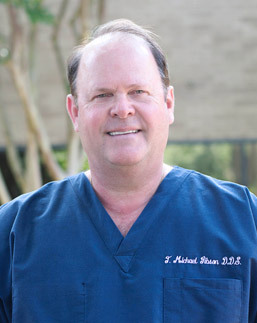 Dr. Gibson has been providing excellent dental care for his patients in The Woodlands and surrounding area since 1996. Dr. Gibson provides a full range of restorative and cosmetic services and utilizes the newest technology to ensure that you have the highest standard of dental care available. Our friendly staff is dedicated to assisting you with personalized attention throughout your visit. Please give our office a call if you have any questions or if we can assist you in anyway. We would be delighted to set up your next appointment with us. Contact the office of Dr. Gibson today to schedule an appointment. We’re happy to offer a broad range of general, cosmetic, and restorative dental services. We know you’ll come away from our office with a healthier, more beautiful smile. Dr. Gibson serves patients from The Woodlands, Houston, Humble, Spring, Conroe, and all surrounding areas. Let our friendly, and informed front office staff assist you with your scheduling needs and with any questions you may have regarding your Dental Insurance. Our hours are Monday through Friday from 8 am until 5 pm. Melanie MacMillan has been working with Dr. Gibson since 2006 and has her RDA certification as well as many years experience working with the numerous insurance plans that are being offered to employees and individuals. Our office accepts most PPO insurance plans as well as indemnity or traditional plans and we will even file your claims for you. We also accept all major credit cards and have financing options available for you through Care Credit. © Copyright 2014, T Michael Gibson, DDS. | Site designed and maintained by TNT Dental.